If you’re like me, your cabinets need the occasional de-cluttering session. It’s good to do this once or twice a year if you have a tendency to stack things up, but these tips can prevent clutter from happening in the first place. To help arrange cabinets so that you can see the items stored in the back of the shelves, install tiered shelves you can purchase or make. They are similar to bleachers – different levels arranged so everyone can see the head of the person in front of them. To make finding a particular spice easier, install shelves the height and depth of one spice container so each spice is visible. Arrange spices alphabetically. 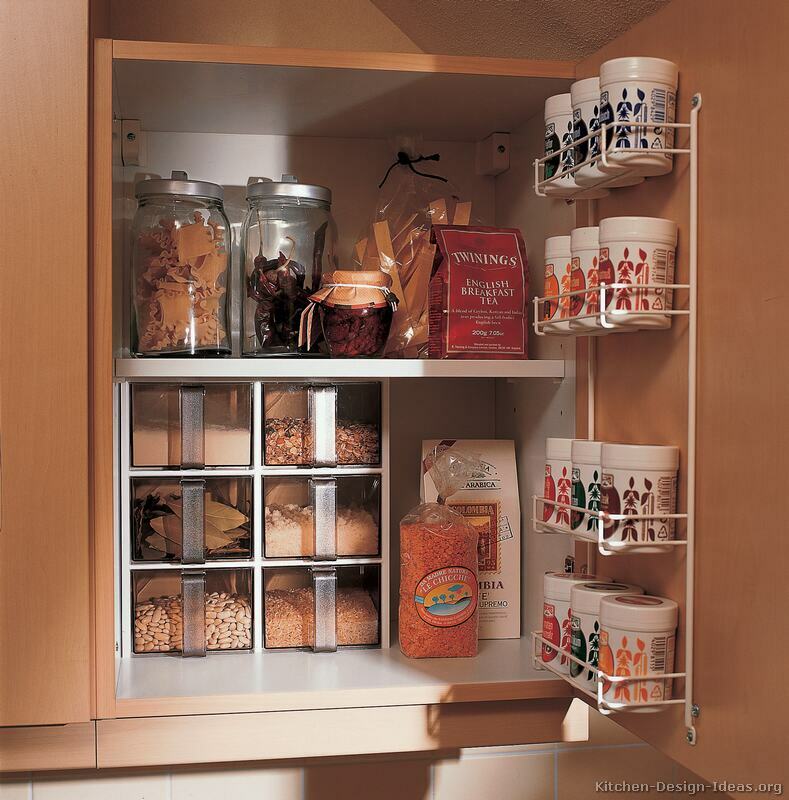 The best place to mount this special spice shelf is on the inside door of an eye-level cabinet. If the shelves inside the cabinet make this impossible, the inside of a pantry door may work if you’re lucky enough to have a pantry. Otherwise, mount them on a kitchen wall close to the main food-preparation area. Another alternative is a lazy Susan. Similar shelves on the inside of other cabinet doors are handy. For example, a metal wire shelf on the inside of the cabinet door under the sink is great for storing the wet sponge and scrub pads plus dishwasher soap and regular dish soap. It makes it so easy to use and retrieve these items that maybe you’ll store them here instead of leaving them out as clutter on the counter. For my dishes, I use a metal rack inside one of my cabinets to give me one more layer of storage so I can separate my salad plates from my dinner plates easily. I also use the tiered shelves for my canned goods so I can see all of them at once, and I don’t have to go digging around to find my tomatoes. For help getting all your clutter under control, check out Clutter Control by Jeff Campbell.